SAN JOSE — Yu-Ai Kai’s Crab & Spaghetti Feed will take place on Saturday, Feb. 14, at San Jose Buddhist Church Betsuin Annex, 640 N. 5th St. (near Jackson). Hours are 5 to 8 p.m. for dining in, 4 to 6 p.m. for takeout. Looking for a unique way to celebrate Valentine’s Day with that special someone? Or maybe with several hundred of your best friends, relatives and neighbors? Celebrating the theme of love and friendship, Yu-Ai Kai will hold its annual fundraising dinner on Valentine’s Day. The dinner will include fresh, succulent Dungeness crab, all the salad, spaghetti and garlic bread you can eat, and dessert. Those dining in will be treated to a special Valentine’s-themed evening of entertainment provided by singer Mark Takeda, performing some swoon-worthy and toe-tapping Japanese and American standards. Also featured will be Yu-Ai Kai’s own couples ballroom dancing class students, who will be performing. Diners will have the chance to bid on a wide selection of silent auction items, and many chances to win in the opportunity drawings. • Children 5 years or younger get a free spaghetti dinner (no crab). Dine-in seating is limited to 400. Opportunity drawing tickets for cash prizes are available at Yu-Ai Kai. No purchase necessary and no attendance required to win. If you are interested in volunteering or donating to this event, contact Jane Kawasaki, committee chair, at [email protected], Marian Suhama at [email protected] or Julie Hubbard at [email protected] or (408) 294-2505. 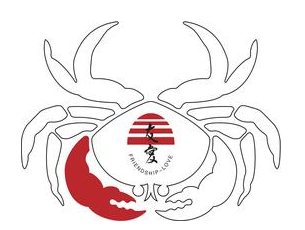 Tickets must be purchased in advance and are available online at http://crabdinner2015yak.eventbrite.com or at Yu-Ai Kai. For more information, call (408) 294-2505 or visit the website at www.yuaikai.org.